Calculate your monthly boat loan payments on new and used boats. Enter the following information to track your loan payments & vehicle equity. Enter a monthly payment to calculate your maximum boat or yacht loan size. Take advantage of current interest rates to lock in savings today. Boats are every bit as diverse as homes. Nearly 70 million people across the United States enjoy boating annually. And in some parts of the world boating & fishing are a way of life. Canoes, jon boats, row boats, rodney boats & skiffs are quite affordable. Rigid-hulled inflatable boats, trimarans, airboats & sailboats are a bit more expenses, and then there is a boat for every price range from an ordinary houseboat or yacht to a Paul Allen-styled custom luxury super yacht. The Discover Boating website - which was developed by the National Marine Manufacturers Association - breaks boats down into the following categories. You can quickly compare the above boat classes using the boat finder feature on Discover Boating. They list boats from the following manufacturers in their database: AB Inflatables, Achilles Inflatable Boats, ADA Boats, Alumacraft, Apex Marine, Aqua Patio, Avalon Luxury Pontoons, Axis Wake Research, Back Cove Yachts, Baja Marine, Barletta, Bass Cat, Bayliner, Belzona Marine, Beneteau, Bennington, Berkshire Pontoons, Bertram, Bestway, Blackfin Boats, Bluewater Sportfishing Boats, Boston Whaler, Bryant Boats, Campion, Caravelle Powerboats, Carolina Skiff, Carver Yachts, Catalina Yachts, Centurion Boats, Chaparral Boats, Chris-Craft, Cigarette, Cobalt Boats, Cobia Boats, Concept Boats, Contender Boats, Crest Pontoons, Crestliner Boats, Crevalle Boats, Crownline Boats, Cruisers Yachts, Cutwater Boats, Cypress Cay, Dave's Custom Boats, Duckworth Boats, EdgeWater Power Boats, Everglades Boats, Flexboat, FLOE CRAFT Afina, Forest River Marine, Formula Boats, Four Winns, G3 Boats, Glastron, Godfrey Marine, Grady-White Boats, Grizzly, Harris FloteBote, Hewes Boats, Heyday, Hunt Yachts, Hurricane, Hydra Sports, Intrepid Powerboats, Invincible Boats, Island Boats, Jeanneau, Jupiter Marine International, Landau, Larson Boats, Larson Escape, Larson FX, Legend, Leopard Catamarans, Lowe Boats, Lund Boat Company, Lund Boats, MAKO, Malibu Boats, Manitou Pontoon Boats, Marine Technology, Marlow-Hunter, Marlow-Pilot, Marquis Yachts, MasterCraft Boats, Maverick Boat Company, Mercury Inflatables, Midnight Express Powerboats, Mikelson Yachts, MirroCraft, Misty Harbor Boats, Monark Marine, Monaro, Montego Bay, Monterey Boats, Moomba Boats, Nautique Boats, Nitro, Nordic Tugs, Northwest Boats, Pacific Skiffs, Palm Beach Pontoons, Pathfinder Boats, Pavati, Play Craft Boats, Pond King, Premier Pontoons, Prestige Yachts, Princecraft, Pursuit Boats, Ranger Aluminum, Ranger Boats, Ranger Tugs, Regal Boats, Regency Pontoons, Regulator Marine, Reinell Boats, Rinker Boats, Robalo Boats, Sabre Yachts, Sailfish Boats, Sanpan, Scarab Boats, Scout Boats, Sea Ark Boats, Sea Chaser, Sea Eagle Boats, Sea Ray Boats, Sea Vee Boats, SeaHunter Boats, Skeeter Boats, Ski Supreme, Smoker Craft, South Bay Pontoons, Southport Boats, Southwind Boats, Splendor Boats, Sportsman, Stamas Yacht, Stanley Aluminum Boats, Starcraft Marine, Stingray Boats, Stratos, Striper Boats, Sun Tracker, Sunchaser, Supra Boats, Svfara, Sweetwater, Sylvan, Tahoe Pontoons, Test Brand, Thunder Jet, Tiara Yachts, Tige Boats, Tracker Boats, Trifecta Pontoons, Triton Boats, Varatti Boats, Veranda Marine, War Eagle Boats, Weeres Pontoons, Weldcraft Marine, Wellcraft, World Cat, Xpress Boats - Aluma-Weld, Yamaha WaterCraft & Zodiac. In recent years there have been about 17 million new automobiles purchased in the U.S. annually with the used sales volume doubling new purchases. Boats have a much lower sales volume, with roughly 238,000 new boats sold across the U.S. in 2015. Boats depreciate rapidly & the boating market is much less liquid than the vehicle market. For these reasons, loans on boats typically charge a higher interest rate than the rates charged on passenger vehicles & 100% financing is quite rare. Lenders typically like to see a significant down payment on watercrafts. Over the past half-decade it seems almost every year the average duration for auto loans on new vehicles is extended by a couple months, stretching out to almost 7 years. Lenders try to limit their risk on used boat loans by sticking to shorter durations & charging higher rates of interests. Some large boats may have loan terms extended out to 15 or even 20 years, though such financing may come with interest rates in the 7% to 10% APR range. Counter-intuitively, some smaller & cheaper boats come with a higher rate of interest than loans for larger & more expensive boats. The reason for this is loans have fixed origination costs which are similar for smaller and larger loans. Thus smaller loans might charge a higher rate of interest to make up for the lower principal & ensure all the fixed costs related to originating the loan are covered. As of March 2019 the Boat Owners Association of The United States (BoatUS) offered the following table as a baseline of the sorts of rates boat buyers can expect to pay. Stated rates, loan terms & required down payment can vary depending on the lender, loan amount, boat type & boat model year. With a boat, the loan is just the begining of your expenses. "A boat is a hole in the water into which you pour money"
The full cost of boat ownership includes things like fuel, docking fees, winter storage, insurance & extensive maintenance. Maintenance: Annual upkeep on a boat can easily cost at least 10% of the purchase price of the boat. Older boats tend to require more extensive maintenance. It is cheaper to maintain boats used in fresh water than boats used on the high seas. 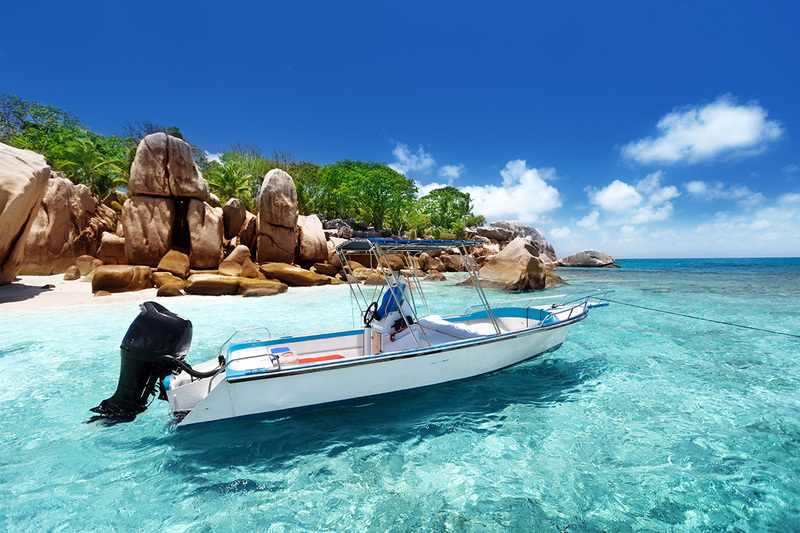 Boat Insurance: Insurance typically costs about 1.5% of the insured value of the vessel. 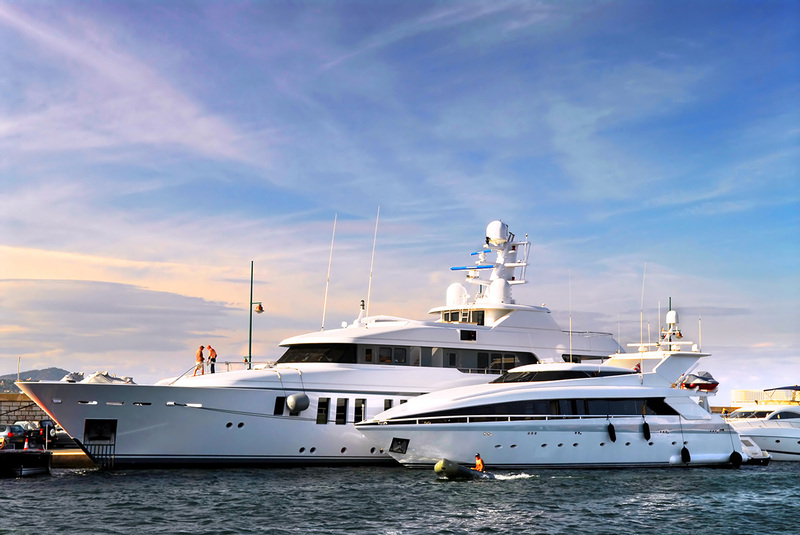 If you own the vessel outright you can purchase liability coverage, whereas if the vessel is financed you may be required by the lender to carry comprehensive coverage. Registration: Large boats require registation in most states. This can cost dozens to a couple hundred dollars per year. States also charge nominal fees for required boating & fishing licenses, and in some cases regular safety education courses are manditory. Mooring: Mooring for larger boats can cost up to $1,000 per month. Small Boat: Obtaining a mooring can also require the purchase of a smaller boat to access your main boat at its mooring. Winter Storage: Storing your boat in the offseason can easily run a couple thousand dollars per year. You may also need to buy a top or cover. Where winter is particularly cold the engine & boat may need winterization prep so the fuel does not gum up the fuel injectors. Trailer: A trailer for hauling your boat to storage in the off season can easily cost $500 to $2,000. Trailers also need to be registered with the state DMV. Safety Equipment: Responsible boating requires life jackets, visual flares, a fire extinguisher, a horn & a first aid kit. You can expect to spend anywhere from $500 to $1,000 on these. Navigational Equipment: Marine GPS systems start around a couple hundred dollars at the low end & fully integrated computer systems can cost well into the tens of thousands of dollars. Marine Fuel: Marine fuel typically costs about 50 cents to 80 cents more per gallon than ordinary vehicle fuel, so for smaller boats on a trailer it typically makes sense to buy gas on land. Many fuel docks contain higher octane fuels which burn cleaner & are thus better on the boat's engine. Marina gas also has environmental impact taxes included to offset contamination risk. Some states still charge road tax on marine fuels, whereas some offer a discounted price or rebate, with prices & terms varying by state. Beware fuel with ethanol in it, as the ethanol may separate to the bottom of the tank & if you run the boat near empty it can motor damage. Solutions to mitigate the ethanol-related risks include ensuring your tank is full & using an ethanol stabilizer. At cruising speed fast motorboats can use about 25 gallons per hour, while a pontoon boat might use about 5 gallons per hour.